The superb Heuchera 'Amber Waves' will form a mound of large golden and amber-orange leaves, with sprays of soft-pink flowers appearing in summer. A unique and unusual colour, it is excellent in beds and border or in planters and mixed containers. 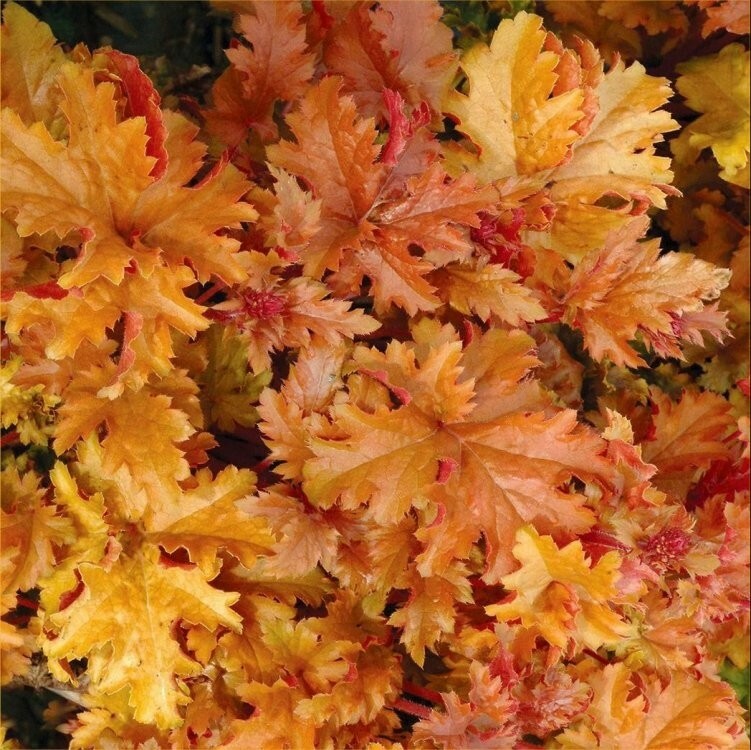 Great planted en-mass for ground cover, or combined with other Heuchera varieties. Supplied in approx 1 litre containers.